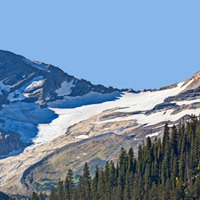 Imagine a Glacier National Park without glaciers. That's exactly what's happening now—the park is already down to just 25 glaciers, when there were more than 150 in 1910. And those few may all be gone by 2030. And other national treasures are equally at risk. In Lake Tahoe, average snowpack is expected to decline by 60% by the end of the century, jeopardizing Tahoe's #1 draw—skiing. In Florida, coral reefs are doubly threatened by a warming and acidifying ocean. But you can help stop it. Take action: Tell congress to back EPA's Clean Power Plan and stop global warming now, before it's too late.